Anthony ‘Can You Dig It? !’ Yigit (16-0-1, 7 KOs) faces undefeated Irish fighter Philip Sutcliffe Jnr (9-0, 6 KOs) on May 7 at the Barclaycard Arena in Hamburg. The 24 year-old from Stockholm fights on the undercard of Kubrat Pulev and Dereck Chisora’s European Heavyweight title fight and IBF World title eliminator, and is promising another ‘explosive’ performance following his emphatic victory over former World Champion DeMarcus Corley. 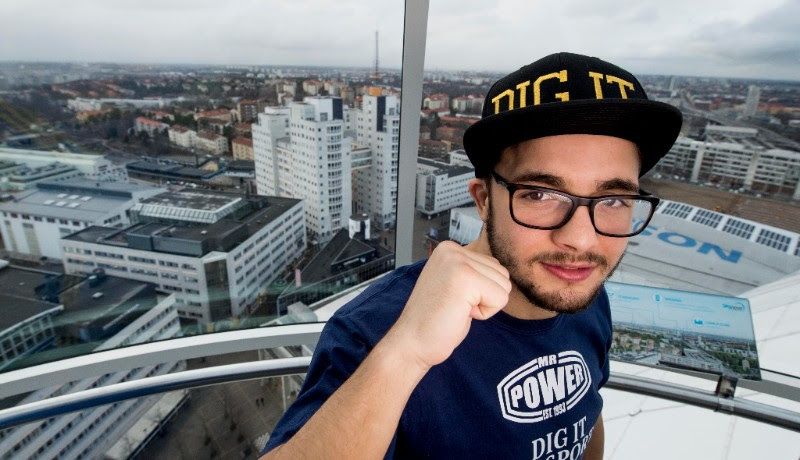 ‘’He’s a tough opponent for me and I believe I will be a tough opponent for him,’’ said Yigit. ‘’We’re both putting our undefeated records on the line and we’re both coming to win, so I’m sure it’s going to be an explosive fight! This will be Yigit’s first test with new coach CJ Hussein in his corner. The Swedish fighter has re-located to London where he has been training with Hussein for the past three months. Hussein has also been training Swedish female World Champion Mikaela Lauren, and oversaw her victory against Ivana Habazin last weekend in Stockholm. ‘’I saw the work CJ was doing with Mikaela during her fight last Saturday so I know what to expect from him on fight night and I know what he expects of me,’’ he says. And the London 2012 Olympian has encouraged his local fans to tune in and watch him in action. ‘’The fans back home know what to expect from me. They know they will not be wasting a Saturday evening by staying in and watching me fight,’’ he said. Yigit’s fight with Sutcliffe Jnr will be available to watch live on Viaplay Fighting. Viaplay Fighting is the first package of its kind, available in Sweden, Denmark, Norway and Finland, and featuring over 500 hours of exclusive live fighting each year from 150 events including UFC, Nordic Fight Night, Team Sauerland, Premier Boxing Champions, Matchroom Boxing and IMG.